Firstly, the very ordinary aspect of domesticity is somehow transformed in a great deal of his output. He takes the banal and transforms it into work of great empathy and feeling. I gazed at this work for quite some time. This left me with a feeling of being transported to a warmer climate, the bright, yet slightly muted colours infused my soul. But a sense of peace pervaded and I felt at ease, almost at one with the art. What’s really interesting is that this work was actually created from memory, so justifying the title of the exhibition entirely. Secondly, what particularly impressed me about the exhibition was the content, 13 rooms to be exact. Work from the early years was there, but from my point of view, the latter works were the most successful. The colours are so vivid and intense, you can almost taste them. They have opened my eyes a little and are influencing my thoughts regarding my own painting. I’m going to try a slightly new approach, that is to say with some different colours. Note the almost ghostly and ethereal figure on the right which almost blends into the background. Does this convey his inner thoughts on relationships perhaps? The most moving painting for me was “The Boxer” below. A self portrait. I sensed an inner conflict with the artist here. The way he has made the face featureless and the positioning of the arms and hands slightly unnerved me. Sometimes, a mask is worn to hide what is actually going on inside. Deep emotion and a wave of empathy washed over me. 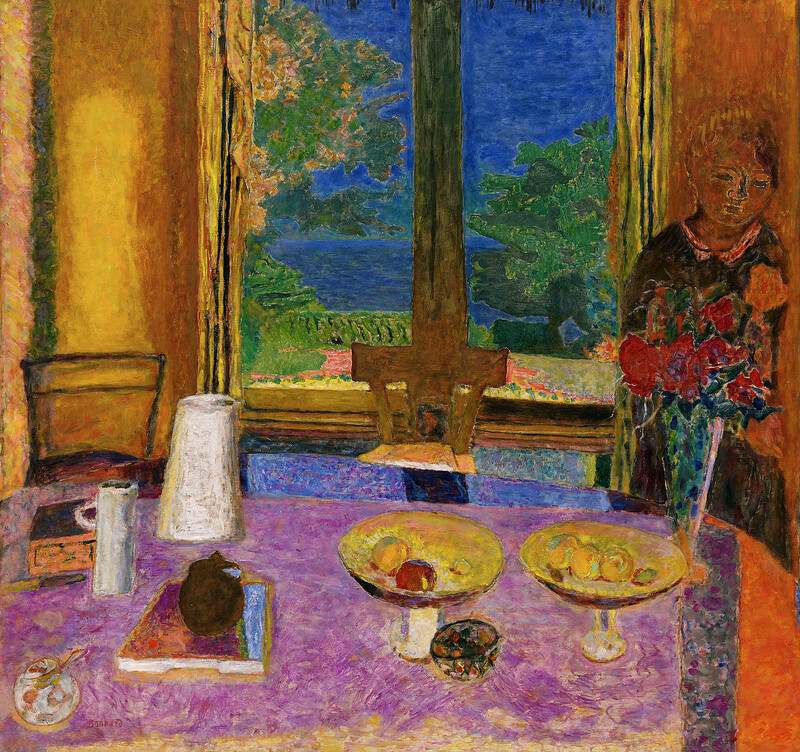 I realised at that second how important art was to Bonnard. I understand how important art is to me. Not only the viewing of it, but the creation of it. That ability to express yourself in an almost alien medium is key. 2019 is something of a watershed year for me, certainly I have to be true to my creative side. Not for approbation, or self aggrandisement, but to feel alive and vibrant. To sum up, the significance of this doesn’t escape me. In short, I don’t think it ever will. fauves, general art, les nabis, london art exhibitions. Bookmark.